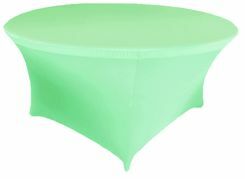 60" Round Spandex Tablecloths & Table CoversFree Shipping over $150 - US 48 Contiguous States! $9.98 Flat Rate Under $150 - US 48 Contiguous States! Wholesale 5ft spandex round tablecloths, round 5 ft Spandex fitted table covers, round spandex elastic table cover, round lycra table covers cloths, round stretch table covers linens. Our round 5 feet spandex table cloths covers are made from a high quality spandex stretch material. 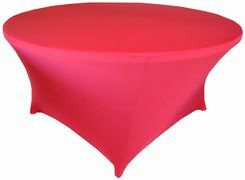 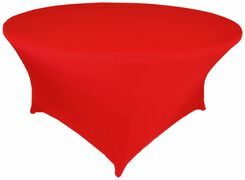 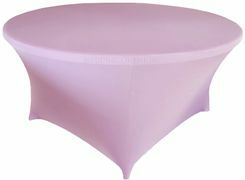 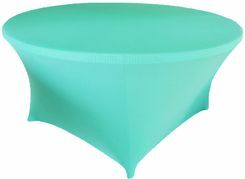 Round spandex table covers are perfect use for wedding, events, banquets, hospitality industry and conventions.